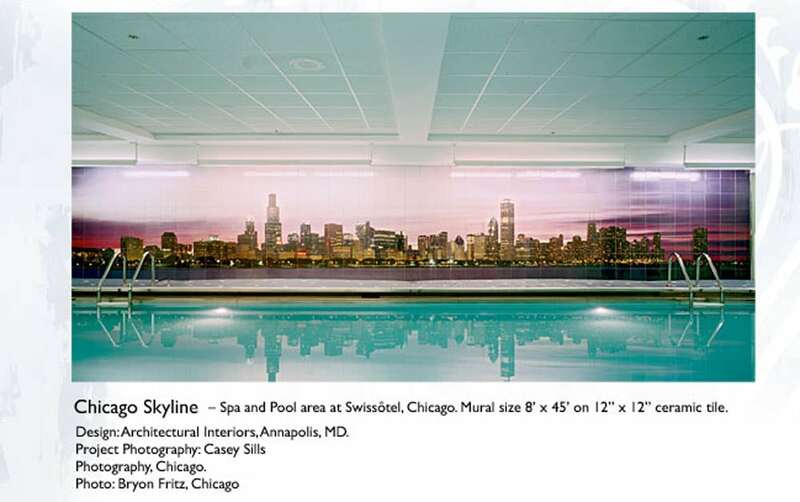 What are Custom Pool Tile Murals? 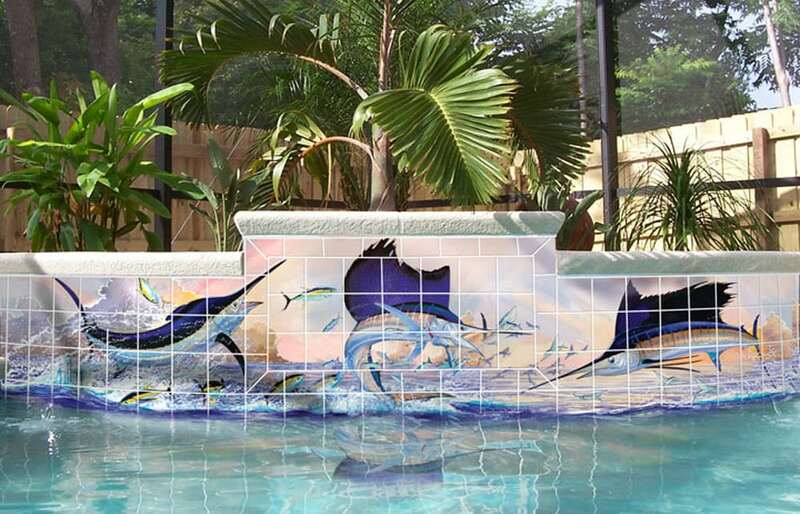 Custom pool tile murals combines art with functionality, and consists of imagery fired into the glaze of porcelain tiles that are installed in a swimming pool. This is exceedingly durable and will withstand prolonged exposure to UV and harsh pool chemicals. 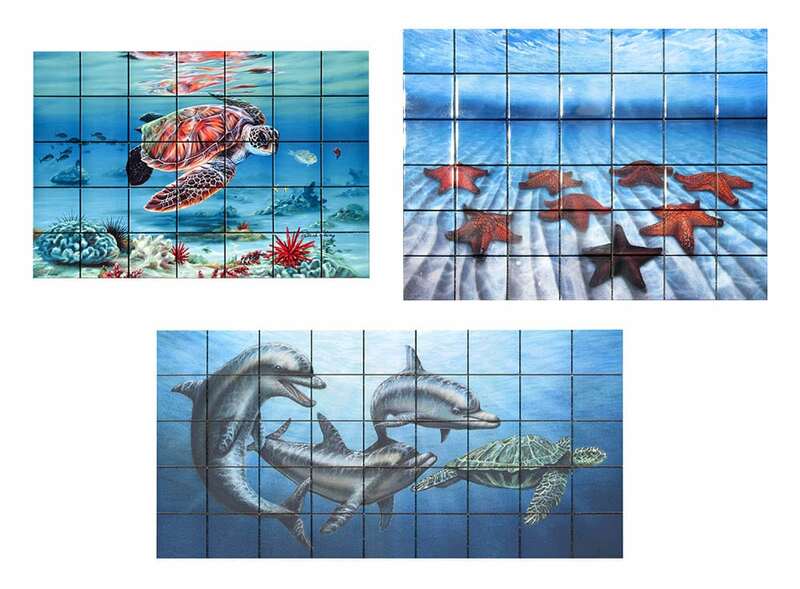 Custom pool tile murals are available in 12″x12″, 8″x8″, 4″x8″, 6″x6″, 4″x4″ and water-jet-cut custom sizes and shapes. This tile is commonly installed as a custom waterline decoration or as a mural in the bottom of a pool. 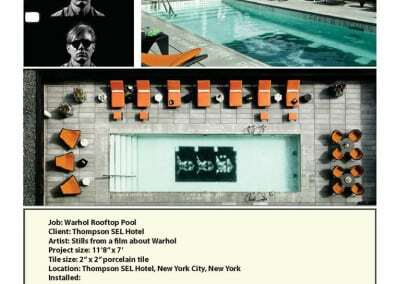 They are appropriate for commercial and residential pools. 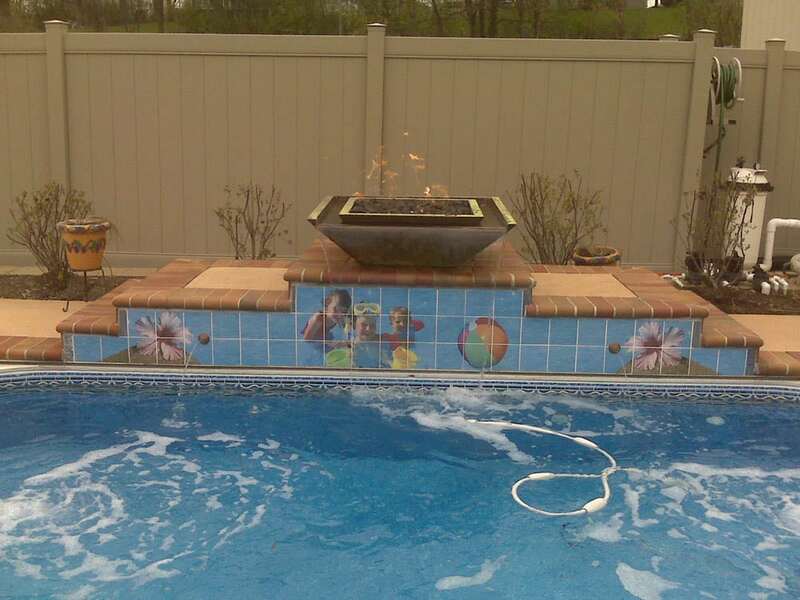 What is the Difference Between Custom Pool Tile and a Custom Tile Mural? There is little difference. The imaging and kiln firing processes are identical. 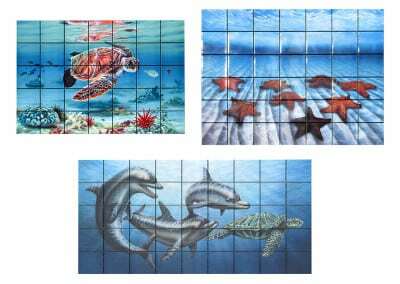 Pool waterline tile is generally a single row of 6″ tile, where a tile mural is generally a much larger group of tiles. 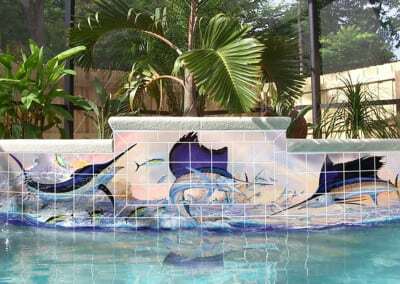 What is the Value of Custom Pool Tile Murals? 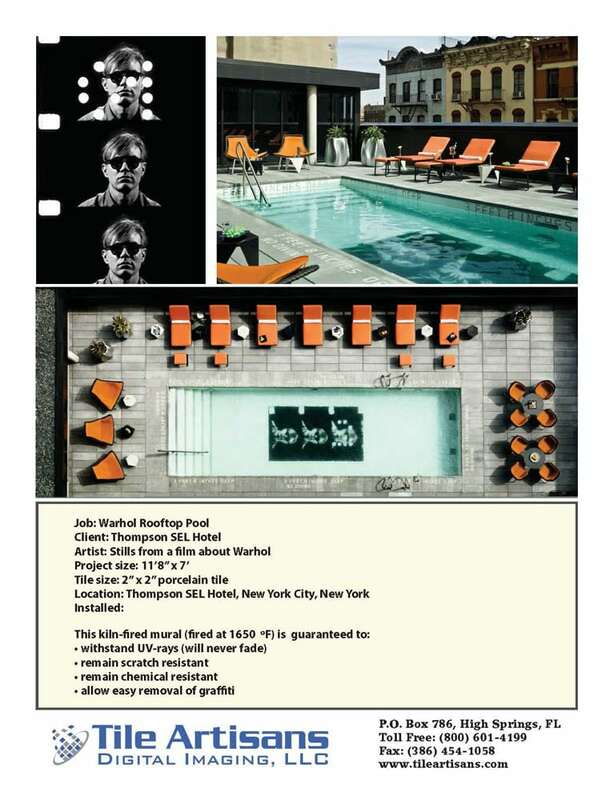 Unlike other pool tiles, our custom pool tile murals are available with your image fired into the glaze of the tile. This provides you with the opportunity to add a unique feature to a pool, a way to make the design your own. 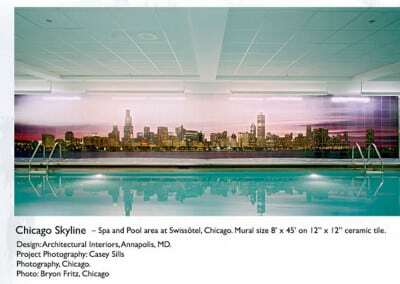 As with any porcelain tile, custom pool tile murals are extremely durable. 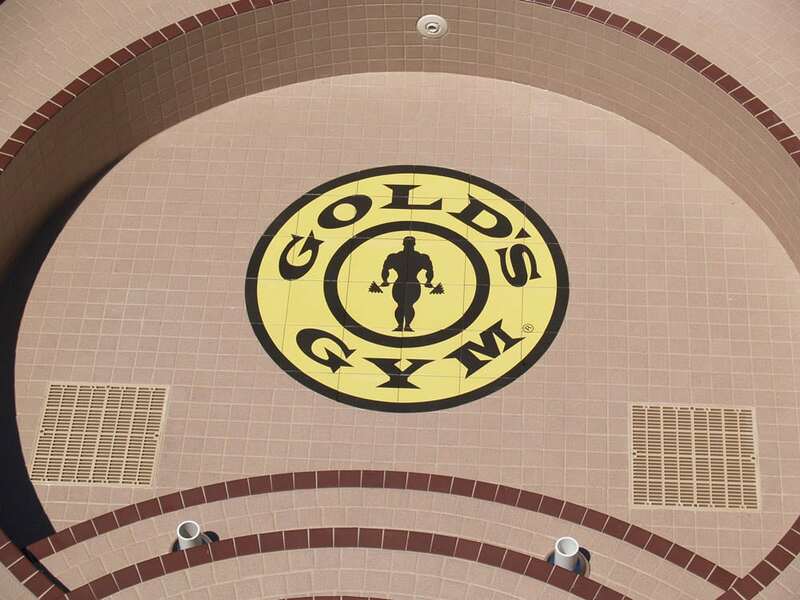 The images in the tile glaze do not degrade with time or exposure to UV radiation, pool chemical and are scratch proof. 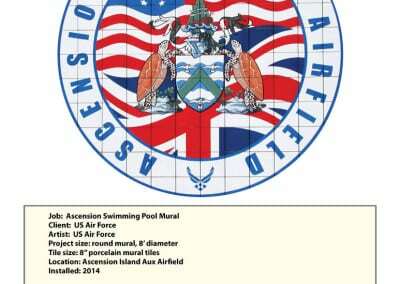 Where are Custom Pool Tiles and Pool Tile Murals used? 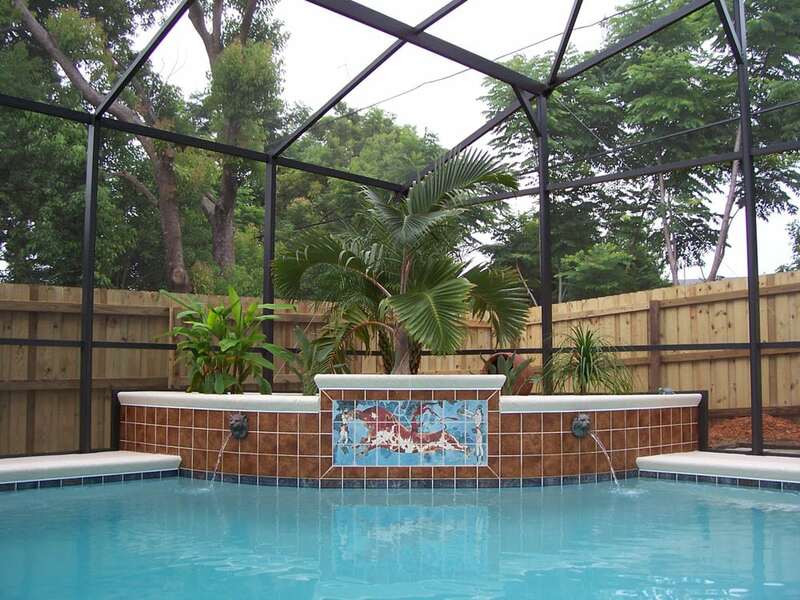 Custom pool tiles are used at the pool waterline and at the bottom of a pool. 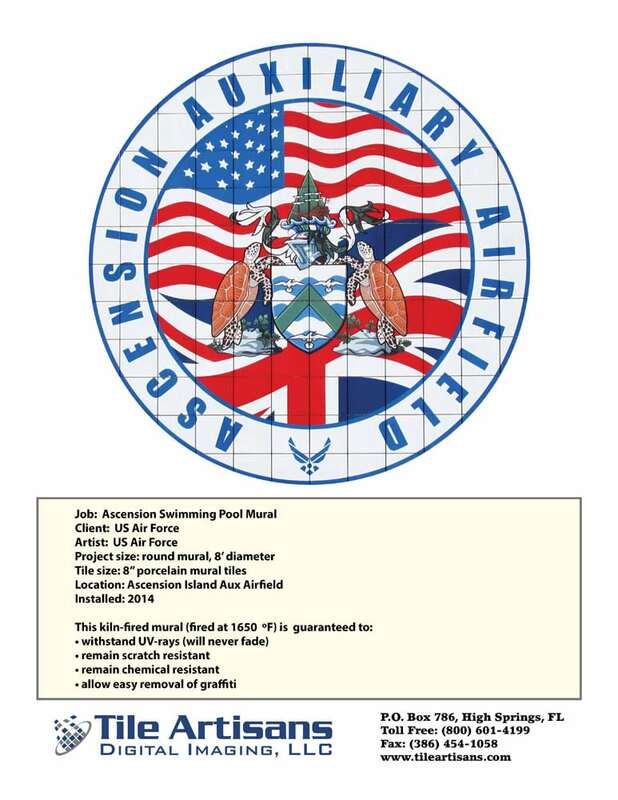 They may be installed on a pool deck or as a wall mural near in indoor pool. They are appropriate for residential and commercial pools in water parks, resorts, and hotels. 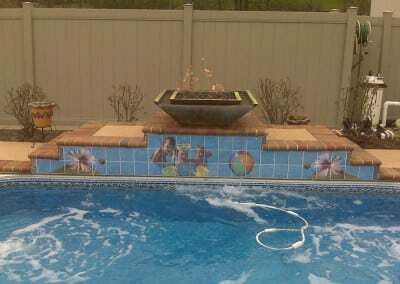 Tile Artisans’ custom pool tile murals give you the opportunity to have your design stand out above the rest. 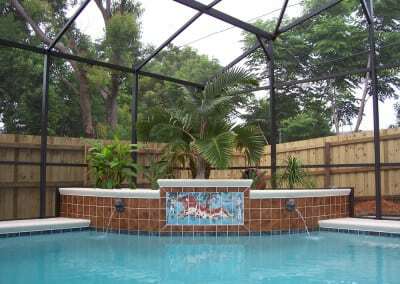 Tile Artisans provides the highest quality custom pool tile murals at reasonable prices. We use only the finest porcelain tiles and a kiln-firing process. 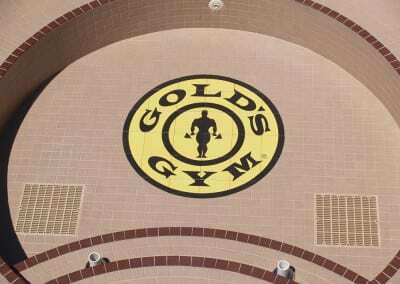 Our products are guaranteed for life; they are permanent, non-fading, durable, and long lasting.